Elections to the Senate, the upper house of the French legislature, were held on Sunday. The Senate is an indirectly elected body, though the electorate is large, mainly comprising local councillors and there are many of them. Since recent changes, the mandate of a Senator lasts six years and one half of the senate is elected every three years. In 2011, the left gained a slim majority in the Senate. This was first ever left-wing majority in the upper house since the beginning of the Fifth Republic in 1958. The left has traditionally been disadvantaged at Senate elections, because there are many councillors and, hence electors, from rural areas who have tended to support the right. While the left enjoyed a slim majority after 2011, the government did not. The left’s majority included the Communist, Republican, and Citizens group, which included representatives from left-wing parties not in the government. Moreover, the majority also included the Greens. However, they left the governing coalition with the Socialists in March 2014. Partly because the government of socialist President François Hollande never enjoyed a majority even when the Greens were in office, it was defeated a number of times in the Senate after it took office in 2012. So, as expected, the left has lost its overall majority. Moreover, the Socialist group is weakened further. This was expected, but it will make life for the government of PM Manuel Valls more difficult. Not entirely unexpectedly, but newsworthy nonetheless, was the arrival for the first time of the National Front (FN) in the Senate. One of the noteworthy elements of the election of their two Senators is that they received the votes of electors who were not representatives of the FN on local councils. This is perhaps a sign that the FN is becoming more mainstream, less untouchable. These two lessons of the Senate elections confirm general trends. The popularity of President Hollande is still hovering around an all-time low at less than 20%. He has become a figure of ridicule. This is being felt within the Socialist party itself. The President and PM are having difficulty keeping their majority together in the National Assembly. It is not unrealistic to think that the government may lose its majority there in the coming months. At the same time, the National Front is polling very well. There is no chance, as yet, of its candidate being elected President of the Republic in 2017. However, there is every chance that the candidate, which is almost certainly going to be the party leader, Marine Le Pen, will win through to the second ballot. The prospect of a weak PS and an unelectable FN is one of the reasons why former president Nicolas Sarkozy made a political come back only last week. If he were to stand as the UMP’s candidate in 2017, he would be well placed to win again, though the same could be said about any UMP candidate at the moment, notably Sarkozy’s main rivals on the right, former PMs Alain Juppé and François Fillon. Sarkozy’s chances are not unrealistic. Some of his judicial issues have gone away at least for the time being. He is also a dogged political fighter with a history of reinventing himself and identifying popular (or populist) issues. As things stand, the FN will continue to make headlines over the next couple of years, but the significant battle is the one that is taking place within the UMP. This entry was posted in Europe, France and tagged elections, France, presidential popularity, Senate on September 30, 2014 by Robert Elgie. The issue of Charter Change, or constitutional revision, has gathered steam in the Philippines recently in regards to two areas: one, constitutional revision to extend the President’s term of office; two, constitutional revisions to reduce the powers of the Supreme Court. Discussion of constitutional revisions towards the end of a popular president’s term – President “Pnoy” Aquino III’s approval at about 55 percent in July is about a 10-point decline from March but still high for the executive after four years of the six-year term – is not uncommon. What is interesting about this discussion of a constitutional revision to the term-limits of the president is its tie-in to the second area, revisions to the Supreme Court’s powers, that relates specifically to President Pnoy’s displeasure with the Supreme Court’s 13-0 ruling on the unconstitutionality of the Disbursement Acceleration Program (DAP) that was administered through the executive office. Executives in democracies bring the “power” and “arbitrariness” of a single decision-maker into policy-making without the objectionable aspects of those qualities, largely because of the constraints of horizontal accountability between government institutions to check and restrain abuses of power by branches of government or public agencies, and vertical accountability. At the same time, it is useful to note that when O’Donnell (1998) first raised the concept of horizontal accountability, he held “judicial autonomy” as “tricky” because the lack of oversight to enhance its autonomy may lead directly to a lack of accountability (123). The constitutional revision situation in the Philippines, then, is illuminating for encapsulating the struggle of balancing power with constraints for not one but two branches of the government. But perhaps it is most instructive in terms of the losses from this struggle: the latest polls show approval ratings dipping across all three branches of government. It is perhaps not surprising that struggles between the branches of government do not usually lead to victors, at least from the perspective of electoral support. This disapproval provides a useful context for evaluating the value of constitutional revisions: it suggests that few consider system-wide changes as appropriate for dealing with conflicts within the government. And it may also serve as a useful reminder: insofar as politicians are generally seen as motivated by self-interest, constitutional revisions that benefit incumbents are also generally not viewed with approbation. See discussions in O’Donnell (1998), and Yap and Gibb (2013/14: 160), about horizontal accountability as well as its complement, vertical accountability, where public officials are held accountable through the electoral process, an active civil society, or a free press. Studies of accountability generally focus on executive accountability, probably because of the potential for abuses related to the position of head of government and commander-in-chief of the military. This entry was posted in Asia, The Philippines and tagged Constitutional Court, constitutional revisions, horizontal accountability, President Pnoy Aquino, the DAP on September 29, 2014 by Fiona Yap. A few months ago, on the pages of this blog, Magna Inácio discussed presidential coalitions in Brazil. In her post, she analysed the effect multiparty coalitions had on the internal structure of the presidency in Brazil. Her post indicated the importance of coalition politics for our understanding of presidential systems. Brazil, and Latin America in general, have received the most attention in the studies of coalitional presidentialism. But as readers of this blog know, multiparty coalitions are not unique to Latin America. Presidents, who faced fragmented legislatures in the former Soviet Union as well as Africa, have also frequently formed interparty alliances. For the past three years, I have been a part of the project, led by Paul Chaisty, Nic Cheeseman and Timothy Power, which studies coalitional presidentialism in comparative perspective. As we approach the end of our data collection, this is a good opportunity for a bit of self-promotion. 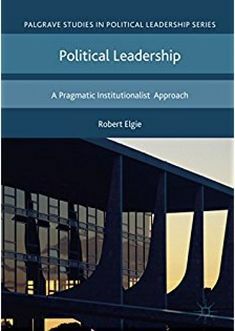 The Coalitional Presidentialism Project is motivated by the surprising sustainability of multiparty presidentialism in Africa, Latin America, and postcommunist Europe. Despite predictions to the contrary, presidents have been remarkably successful at winning legislative support from fragmented legislatures. The project has two principal objectives: (1) to identify the tools that presidents use to govern in concert with multiparty legislatures and (2) to assess the effects of these tools on horizontal accountability in new democracies. To investigate these questions, we interviewed 350 members of parliament in nine emerging democracies in three regions – in Africa (Benin, Kenya, Malawi), Latin America (Brazil, Chile, Ecuador), and the former Soviet Union (Armenia, Russia, Ukraine). We also collected legislative data such as composition of presidential coalitions and cabinets, data on legislative output as well as support for executive initiatives in these countries between 1979 and 2010. Data collection alone has been a Herculean task as in many of these countries (e.g. Armenia, Benin) such data have never been collected before. Although an accepted concept in Latin America, coalitional presidentialism has had little impact on the study of legislative politics in Africa and even less so in the former Soviet Union. For instance, in the case of Ukraine, the extant literature has argued against the significance of legislative coalitions due to both (1) the view that the role of the president as the chief formateur was an obstacle to the establishment of meaningful alliances in legislature; and (2) the absence of incentives needed to maintain coalitions. However, we find that between 2000 and 2012 there were four distinct coalitions and Ukrainian presidents used a range of resources to form them – e.g. the sharing of cabinet portfolios with their coalition partners. The majority of MPs that we have interviewed in Ukraine agreed that presidential coalitions carried some positive benefits such as increased law–making decisiveness. However, similar to Brazil, presidential coalitions have also attracted their fair share of bad press. The resources that presidents have used to bind coalitions, especially informal tools of influence, have become the main focus of criticism, leading our respondents to doubt the ability of these coalitions to increase the quality of democracy in the country . For more information about the project please visit our website here. Chaisty, Paul and Svitlana Chernykh. “Coalitional Presidentialism and Legislative Control in Post-Soviet Ukraine.” Forthcoming in Post-Soviet Affairs. This entry was posted in Europe, Ukraine and tagged Africa, Brazil, legislatures, president, Presidential Power, Ukraine on September 26, 2014 by Svitlana Chernykh. National crises—whether caused by war, natural disaster, or economic collapse—can provide a particularly dramatic testing ground for presidential power and popularity. This has certainly proved the case for Liberian President Ellen Johnson Sirleaf, who has struggled to find the appropriate strategy to counter her country’s worsening Ebola epidemic. With nearly 1,600 Ebola deaths since March, Liberia has been hit harder by the epidemic than any other West African state. The public health crisis has sparked a corresponding economic crisis. Closed borders, investor flight, and international travel bans are fuelling inflation and making jobs ever harder to find. From the early stages of the epidemic, President Sirleaf has been the focus of increasingly charged political attacks. Businessman and presidential hopeful Mr. Benoni Urey fired the first shot in April, chiding Sirleaf for ‘trotting around the world’ rather than staying at home to ‘focus on the matters that confront the country and people’ (Sirleaf was attending the EU-Africa summit). In August, a parliamentarian threatened to ‘dump’ the bodies of six Ebola victims in front of the President’s Office should the government fail to collect them from his constituency. ‘By dumping the bodies, Ellen will feel how it hurts when people died [sic] of Ebola are abandoned,’ he argued. Political tensions continue to fester, the latest blow coming from a number of Liberian diaspora organisations, which are calling for Sirleaf to hand over power to an interim government. More worrying than this political mudslinging, though, are the deep levels of public distrust in the Liberian government, which the Ebola epidemic has helped lay bare. Sirleaf’s administration has won international plaudits for its apparent success in reviving Liberia’s war-ravaged economy. This positive assessment is not, however, widely shared at home. Endemic corruption—among the highest levels in the world according to Transparency International—and entrenched inequality have soured public perceptions of government and its ability to provide services. Many analysts link this lack of public trust with Liberians’ initial unwillingness to heed government health warnings about Ebola, a response that has accelerated the rate of infection. The worsening public health crisis coupled with the steep decline in her own popularity ultimately led President Sirleaf to adopt a more prominent role in the fight against Ebola. On July 26, four months after the first Ebola case was reported in Liberia, Sirleaf announced she would head a new National Task Force, specially created to manage the Ebola response. An aggressive set of executive-led initiatives soon followed. On July 30, Sirleaf belatedly closed the border with Guinea, the main conduit through which Ebola first entered Liberia. She then, on August 6, used her constitutional powers to declare a 90 day State of Emergency, justifying this action on the grounds that the government and people of Liberia required ‘extraordinary measures for the very survival of the state and for the protection of the lives of our people.’ On August 20, Sirleaf imposed a curfew nationwide, active from 9PM to 6AM, and ordered the quarantine of West Point, one of the largest slums in Monrovia, Liberia’s capital. In Early September, authorities used the State of Emergency to shutter a national newspaper after it carried calls for Sirleaf to cede power to an Interim Government. With these strong-arm measures, Sirleaf sought to convey a sense of firm presidential commitment to fighting Ebola; she did this, however, by drawing on a set of executive powers that were singularly ill-suited for handling an epidemic, notably one already exacerbated by public distrust in government. The decision to quarantine West Point was especially problematic. The large-scale operation was led by the military and resulted in a series of violent confrontations during which a 15-year-old boy was killed. The decision to close the newspaper also prompted the President of the Press Union of Liberia to challenge Sirleaf, raising concerns about respect for democratic freedoms and rights during the Ebola outbreak. In addition to her renewed emphasis on solidarity at home, Sirleaf has also multiplied calls for international assistance, an effort that coincides with a new set of WHO forecasts predicting the likely trebling of Ebola cases by November. These diplomatic overtures are paying off. The US and EU, among others, have committed new aid packages to help both with the Ebola fight and the post-Ebola economic recovery process. But even as President Sirleaf attempts to correct for previous missteps, political tensions persist. Government officials have repeatedly denounced opposition politicians for trying to use Ebola to help them win elections set for 2017. Legislators, meanwhile, are leading highly personalized Ebola response efforts in their own constituencies, in some instances driving private ambulances to cater for the sick. Sirleaf too is now regularly touring the country, handing out supplies and meeting with healthcare workers. In these instances, it is difficult to distinguish between genuine acts of solidarity and more self-interested electioneering. The story of Liberia’s Ebola epidemic is sadly far from over. To date, the crisis has seen President Sirleaf move from a position of relative detachment to aggressive, Commander-in-Chief intervention and back to a more conciliatory stance. These different experiments with presidential power in many ways amount to a succession of firefighting efforts. There is some indication this is beginning to change, however. By seeking both to defuse political tensions and to attract more international assistance, Sirleaf is now starting to respond to the Ebola crisis in a way that addresses deeply rooted governance issues, which are in part a legacy of her own administration. This entry was posted in Africa, Liberia and tagged Africa, Liberia, Presidential Power on September 25, 2014 by Michaela Collord. After months of mutual accusations and threats of major political turmoil and mobilisation, the two rival presidential candidates, Abdullah Abdullah and Ashraf Ghani, reached an agreement to solve the national crisis and form a government of national unity. In a televised ceremony on Sunday, they signed a power-sharing agreement that makes of Ghani the new President of Afghanistan and Abdullah the Chief Executive Officer of the government, a new office for Afghanistan similar to a Prime Minister. Abdullah might also nominate someone else to occupy the office. Ghani is expected to be sworn in as the new President of the country on Sept. 29. This agreement and the formation of a government of national unity have been greeted by the international community as welcome news, since the atmosphere of bitter conflict and political uncertainty was damaging the already fragile security of the country. From a technical point of view, the agreement changes quite significantly the structure of government of Afghanistan. The highly-centralised presidential system will now have to face a number of challenges to integrate the new role, the CEO, in its functions considering that it will share a number of prerogatives with the president, such as for instance control over key institutions including the Army. The agreement gives substantial powers to the newly created position, defining it as having the functions of an executive prime minister. According to the agreement, a new institution is created, the council of ministers, which will work in parallel with the President’s cabinet. The council of ministers will be headed by the CEO and will include two deputies and all cabinet ministers. The council will implement the executive decisions of the government. As for the President’s cabinet, it will be headed by the President and will include all ministers. The CEO will be responsible for managing the cabinet’s implementation of government policies, and will report on progress to the president directly and in the cabinet. Another clause calls for parity in the selection of personnel between the president and the CEO at the level of head of key security and economic institutions. Although relief is understandable, there are a number of unclear points that cast a certain shadow on the optimism. First of all, the Taliban have already expressed their opposition to the pact and rejected the national unity government pact as a ploy orchestrated by the US administration. This means that national security is still in danger and that this government will not be a government of national unity. Secondly, it is not clear how the power-sharing agreement will work, and how the role and notion of a CEO will be received by the population and local elites. Given the rather conflictual relationship between Abdullah and Ghani, it is not certain that the national unity government, with two powerful offices within it, will be actually able to work or whether will be torn apart by internal conflicts. Thirdly, the technical implementation of the agreement might take a long time, as the CEO is a new institution that needs to be integrated in the Constitution. Under current provisions, the agreement calls on the Loya Jirga to amend the Constitution to create the position of an executive prime minister within two years. The new president and the new government are expected to rule Afghanistan during very sensitive times, as the withdrawal of US troops is to be completed by December 2014. This entry was posted in Central Asia, New publications, Presidentialism and parliamentarism and tagged Afghanistan, disputed election on September 24, 2014 by Paola Rivetti. The release on 20 September of 49 staff members of the Turkish consulate in Mosul, who were kidnapped over three months ago by the Islamic State (IS), represents an undeniable success for the newly elected Turkish President, Recep Tayyip Erdoğan. However, especially as there is very little transparency about this operation, many questions are raised over Erdoğan’s recently announced “New Turkey”. With the arrival of hostages in Ankara on 20 September, the President peremptorily declared that “the Turkish government won’t reveal details of a covert operation that ensured the release of 49 people”. He strongly denied that any ransom was paid to the Islamic State, but refused to answer any questions. “There are things we cannot talk about”, he said. “To run the state is not like running a grocery store”. This rhetoric is in line with the idea of a self-confident “New Turkey”, run by a president who enjoys great popularity, has been directly elected by its people – for the first time in the history of the 12 presidents of Turkey – and whose mission is mainly to “reshape the country”. But what can the management of the hostage crisis tell us about Erdoğan’s New Turkey? Erdoğan’s supporters usually praise him for having restored conservative Islamic values in the country, for pushing back the secularist organization of the public space, and for undoing much of the work of Mustafa Kemal Ataturk. After he was elected president and by virtue of his great popular support, Erdoğan made it clear that he would use his constitutional authority and powers to the fullest extent. However, in spite the fact that these considerable powers are enshrined in the constitution – issued after the coup d’etat of 1980 – none of his predecessors dared to fully exercise them. His secularist and Islamist opponents, notably the supporters of the US-based Muslim cleric, Fethullah Gulen, speak of his authoritarian tendencies. However, Erdoğan is strongly backed by the Justice and Development Party (AKP), which he established in 2001, and led for 12 years until he stepped down last August upon becoming president of Turkey. The AKP, under its new leader Ahmed Davutoglu, who has also become Prime Minister, is committed to fighting Fethullah Gulen, who leads what they class as the “parallel state”. Nonetheless, behind this self-confident discourse, many risks lie ahead for Erdoğan. Though there is no doubt that he will remain the dominant figure in Turkey, he has to wait until the 2015 elections that are expected to be held next June before consolidating his power against his many domestic and international detractors. If the AKP wins a three-fifths majority in the elections, the President will then be able to amend the constitution in order to create the “new” Turkish Republic. In order to make such sweeping changes, he needs to maintain his high popularity. Domestic turmoil in the 2013-2014 protests in Taksim Gezi Park contested his authority. However, one of the most crucial issues liable to affect the consolidation of his power is the security of the country, and of Turkish citizens. The substantial collapse of the “zero-problems-with-neighbours” policy, elaborated by former Foreign Minister Ahmed Davutoglu has not been fully replaced with a clear-cut strategy. On the contrary, during the last 3 years, Turkey has been significantly affected by the crisis in Syria, and now in Iraq, that Ankara contributed towards creating in the first place. Allegations over Ankara’s role in fuelling the jihadi opposition, especially the Jabhat al-Nusra and Ahrar al-Sham, and – more generally – by turning a blind eye to the influx of jihadi militants along its 800-km borders with Syria have embarrassed the Turkish government. Coming just 23 days after Erdoğan became president, the rescue of the hostages goes to show that in his “New Turkey”, the state will be able to protect his citizens and keep the country out of regional turmoil. Domestic power consolidation, however, may go with a more idiosyncratic foreign policy making. Erdoğan stated that the liberation of hostages was the result of an operation carried by the National Intelligence Services (MIT). However, it is likely that direct negotiations with the Islamic State, through Iraqi Sunni tribes, occurred. Furthermore, some reports say that the decision to release the hostages was personally approved by Abu Bakr al-Baghdadi after Turkey rejected Washington demand for “active support of the coalition.” Indeed, Turkey has decided not to join the 10 Arab countries that are now engaged in the international fight against jihadi militia, and especially the Islamic State, in Iraq and Syria. Turkey’s disengagement from NATO and its Western allies should not be seen as a new anti-Westernism in Ankara. However, Turkey seems now to be paying the price of a 3-year-long foreign policy of deals with Islamist militias, in an attempt to overthrow the Basahr al-Asad regime. In so doing, Turkey had jeopardized its borders, and consequently brought the security crisis close to home. Now that security issues are at the core of Erdoğan and AKP’s domestic concerns for the stability of their rule, and given the level of instability at its borders, Turkey is likely to grow increasingly isolated in both international and Middle East alliances. This entry was posted in Europe, Turkey and tagged president, Turkey on September 23, 2014 by Robert Elgie. Robert Elgie, Cristina Bucur, Bernard Dolez and Annie Laurent, ‘Proximity, Candidates, and Presidential Power: How Directly Elected Presidents Shape the Legislative Party System’, Political Research Quarterly, 2014, Vol. 67(3), 467–477. William Crotty (ed) The Obama presidency: Promise and performance. Lanham, MD: Lexington Books. 2012, ix + 231 pp. ISBN 9780739172346. Marcin Kaczmarski, ‘Domestic Power Relations and Russia’s Foreign Policy’, Demokratizatsiya: The Journal of Post-Soviet Democratization, Volume 22, Number 3 / Summer 2014, pp. 383-409. Daniel Treisman, ‘Putin’s popularity since 2010: why did support for the Kremlin plunge, then stabilize?’, Post-Soviet Affairs, Volume 30, Issue 5, 2014, pp. 370-388. Mikołaj Cześnik, ‘In the Shadow of the Smolensk Catastrophe—The 2010 Presidential Election in Poland’, East European Politics & Societies August 2014 28: 518-539. Elvin Ong and Mou Hui Tim, ‘Singapore’s 2011 General Elections and Beyond: Beating the PAP at Its Own Game’, Asian Survey, Vol. 54, No. 4, July/August 2014, pp. 749-772. This entry was posted in New publications and tagged new publications on September 22, 2014 by Robert Elgie. Until recently, President Taur Matan Ruak made little use of his legislative powers. Yet that changed when Timor-Leste’s National Parliament approved a ‘repressive’ media bill that reportedly poses a serious threat to press freedom in the country. The President requested the Court of Appeal to undertake an anticipatory review of the constitutionality of the parliamentary bill. President Taur Matan Ruak has largely refrained from using (non)legislative powers to change policy since he took office in May 2012. Unlike his predecessors, Gusmão and Ramos-Horta, he has not criticized government policies in official communiqués, returned bills to Parliament, nor vetoed legislation. Indeed, no major institutional conflicts have occurred between President Taur Matan Ruak and incumbent Prime Minister Gusmão. The media bill came under fierce criticism from human right organisations, civil society and journalists’ unions. The bill would create a licensing system for journalists administered by a five-member government-funded press council. Media organisations would be prohibited from employing uncertified journalists. The licensing system would apply to domestic and foreign media outlets, giving the press council the power to deny access to Timor-Leste to foreign correspondents. On 20 August the Court of Appeal ruled that certain provisions in the bill are in breach of the Constitution. Prime Minister Gusmão, who has been a key promoter of the media bill, is believed to be furious with the Court’s ruling. The Prime Minister had become increasingly irritated by criticism of his government and especially by the local media’s accusations of corruption. He accused them of being unruly, unprofessional and disloyal. Do nothing. In this case, the bill “dies”. Revise it in order to address the Court’s objections, and perhaps make other changes, and pass it again. Re-pass the bill without any changes. To pass a bill over the President’s and the Court’s objections requires a two-thirds vote of members present in Parliament. It is believed that the parliamentary majority will accept the ruling of the Court and the President. President Taur Matan Ruak has strong support among local journalists and he seems convinced not to allow the law to pass as it stands or risk alienation from the press which is an important ally he has and may be needed in the future to advance his claims. The President can still veto a revised bill on political grounds. Parliament, however, can override a political veto with a simple majority. This entry was posted in Asia, Timor-Leste and tagged Court of Appeal, President Taur Matan Ruak, presidential veto on September 18, 2014 by Lydia Beuman. Mauritius is currently debating whether or not to amend its constitution and introduce the direct election of the president. If so, then Mauritius would come under the category of a semi-presidential regime. Mauritius gained independence from Britain in 1968. From that point, it operated as a parliamentary monarchy, with the British monarch as head of state. However, in 1992 the system was amended to a parliamentary republic with an indirectly president as head of state. Now, though, there are new plans for reform. The last parliamentary elections were held in 2010. They returned a coalition government led by Navin Ramgoolam of the Labour Party. However, the government has a turbulent history. In August 2011 one of the main parties left the coalition. In June of this year the Finance Minister resigned over plans for electoral reform. By this time, the government was left with only a wafer-thin majority in parliament. In this context, a new set of political alliances has started to emerge. In particular, PM Ramgoolam has joined with Paul Bérenger, the leader of the Mauritian Militant Movement (MMM) party and also leader of the opposition until his formal resignation from the post yesterday. After months of discussions, they reached an agreement last week that was ratified by the MMM at the weekend. The alliance is due to be made official later this week. The agreement is likely to lead to equal number of government members for each party, a new set of policy priorities, a reorganisation of the government, and also a set of constitutional reforms. Specifically, the role of the presidency is going to be reformed. Currently, the president of Mauritius has very few powers, being little more than a figurehead. However, according to the terms of the agreement as we have them up to now, the president is going to be given much greater powers, including the power of dissolution. According to reports, the president will have greater powers of appointment, will direct foreign policy, and will be able to chair government meetings. The president will be directly elected and will serve for a seven-year term. With Bérenger having now resigned as leader of the opposition, the new government seems ready to take shape. According to reports, Ramgoolam will remain on as PM, while Bérenger will become Deputy PM. There are likely to be snap elections this autumn. Assuming the new Ramgoolam/Bérenger coalition is returned, the amendments will be drafted and the new system, which is being called the Second Republic, will come into effect. The current president, Rajkeswur Purryag, of the Labour Party came to power in July 2012. The current length of the presidential term is five years. Political alliances in Mauritius are relatively unstable. As long-time opponents, Bérenger and Ramgoolam may also have difficulty working together. The parliamentary election may destabilise the situation. Also, the constitutional reforms have yet to be drafted and approved. However, the agreement does have the potential to mark a radical change in the politics of the island and to add Mauritius to the list of semi-presidential countries. This entry was posted in Africa, Mauritius and tagged Constitutional Reform, Mauritius, semi-presidentialism on September 16, 2014 by Robert Elgie.